Please feel free to contact me to obtain recordings or information on the birds listed. These CDs are not carried in stock but are manufactured according to demand. Orders can take up to a month to supply dependent on other work in hand. If you have been listening closely to our famous bird calls during Morning Report, you may have noticed a change. 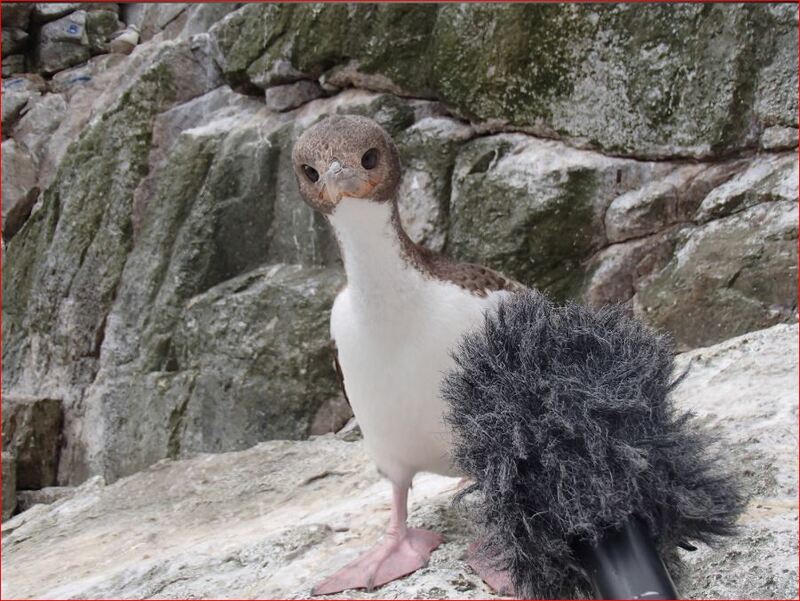 We have replaced the previous birdcalls with new ones – it will be a much larger and more diverse selection of calls rotating on a roster of land, sea and shore birds. John Howson asked me to review and replace the bird calls April/May 2013, gathering of audio, editing and recordings of tags since December and it will be ongoing this year. We hope to have more than 120 birds by the middle of the year. 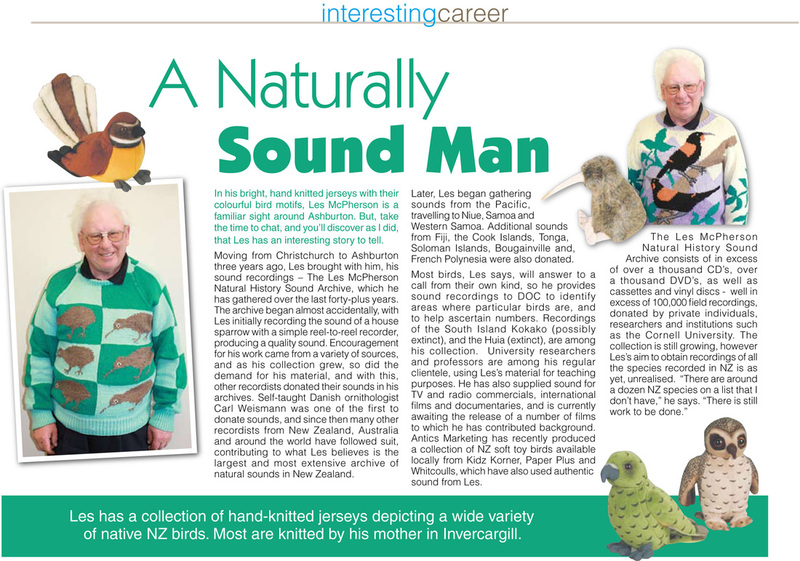 Last year Our Changing World covered the launch of a new website dedicated to NZ birds www.nzbirdsonline.org.nz - a lot of the audio supplied by one Les McPherson (right) (www.archivebirdsnz.com) a lovely chatty 70-year-old bachelor from Ashburton (who used to pack women’s lingerie of all things!) with a “large” bird recordings obsession. 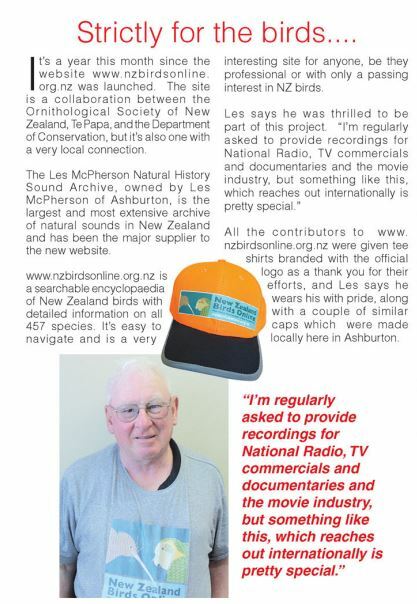 He’s very well known to the lovely Sound Archives people in Christchurch. He’s been supplying RNZ with .wav recordings and this is what we have been enlarging our collection with. Helena Nimmo has been also working to source beautiful images to add to OUR website as birds are VERY popular. If you want to expand your own knowledge about NZ birds I do recommend the nzbirdsonline website – it’s a fantastic reference site to identify birds or their calls. Birdcalls play on RNZ National at 0659’30 and 0859’30 and 60 sec versions of the birdcalls can also be heard at various news times on RNZ Concert. I had no idea of how many birds we actually have here and the surprise of hearing sounds like someone being murdered (kiwi) or a cat purring (penguin) still surprises and delights every time. They are just so fascinating and because of this – we keep our cat Monty inside at night and he wears a bell (which he HATES!!) to prevent him from decimating our local bird population in Akatarawa. Favourite bird – too hard – still love the haunting call of the kokako if pushed to choose just one!! Radio New Zealand International audition Proclamation Island Bounty group. Photograph courtesy Alison Ballance 2014.